MUA Cosmetics has been one brand that I’ve been using for a long time …. Who does not like a good highlighter? In this article I would like to show you the beautiful MUA Luxury Strobe & Glow highlight kit. The box looks really beautiful!!!!….. 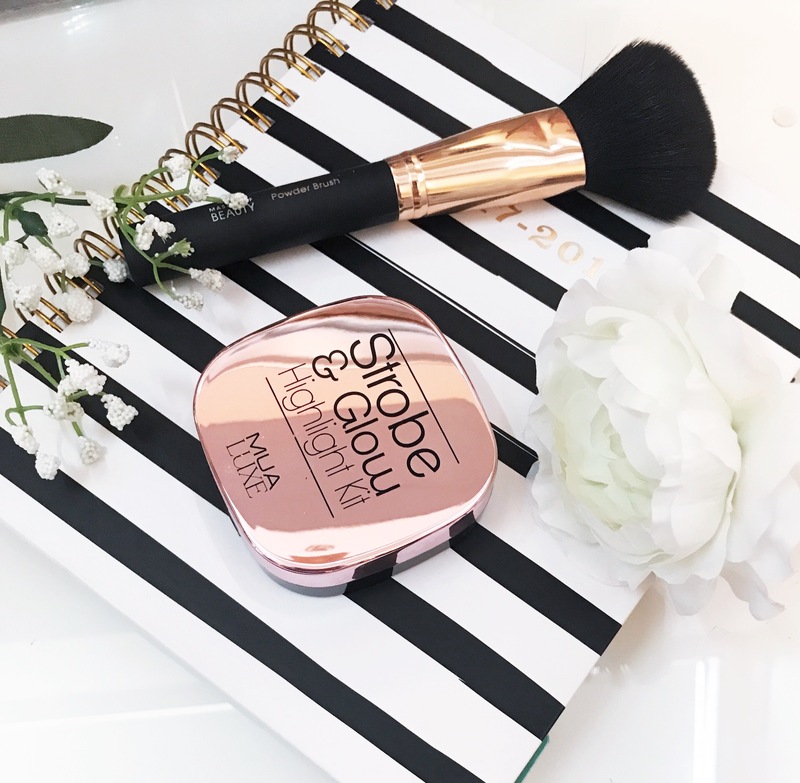 This compact kit contains a mirror, a powder highlighter and a cream highlighter, is a multi-formula compact, ideal for effortless highlighting. The cream and powder formulas in a light, luminescent shimmer allow for a perfect strobe & glow, iridescent look. This is amazing, but you must put on the cream then set with the powder (which gives the highlight a gold sheen) and it lasted all day. Overall, I really like the MUA Luxe Strobe & Glow Highlight Kit. . The powder is very subtle and light and the cream highlighter is a beautiful pearly gold which has a wonderful shimmer running throughout. Love the photos beautiful staging. This looks so luxurious! I’m a highlighter fanatic and this is beautiful.